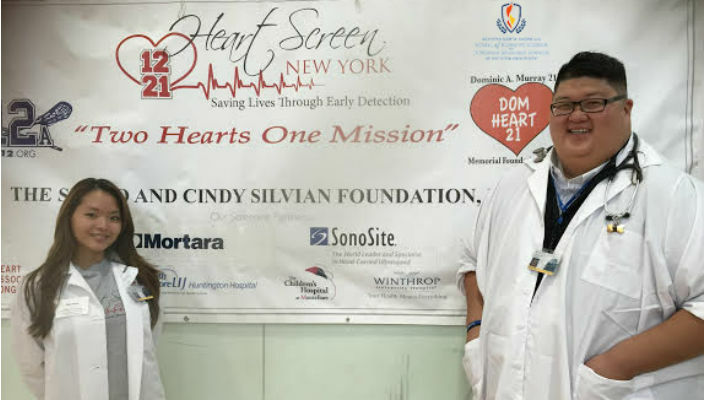 Graduate nursing students Ellen Buck and Andrew Wong recently volunteered at Heart Screen New York, a free community screening to detect heart conditions that drew more than 350 youth from across Long Island. During the daylong event, children, teens and young adults ages 12 to 25 took a health survey and were given a physical exam and an electrocardiogram, or ECG, which measures electrical activity generated by the heart. Those with results indicating an abnormality were given an echocardiogram, or ultrasound, of the heart as well. Both tests are used to detect hidden heart problems that can be fatal. Buck and Wong assisted in administering the ECGs and taking blood pressure, and also worked with the pediatric cardiologists and electrophysiologists who analyzed the test results. 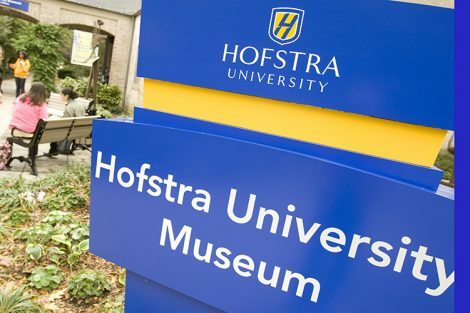 Both are registered nurses in hospitals in the North Shore-LIJ Health System, and are in the first year of graduate study at the new Hofstra North Shore-LIJ School of Graduate Nursing and Physician Assistant Studies. The screening event, held at Seaford High School in Seaford, NY on Oct. 17, was sponsored by the Louis J. Acompora Memorial Foundation and the Dominic A. Murray 21 Memorial Foundation, both named in honor of teen athletes who died of sudden cardiac arrest.